The Grand Finale of Obhartay Sitaray 2018, was a treat to the ears with the young, soulful voices echoing through the hall. 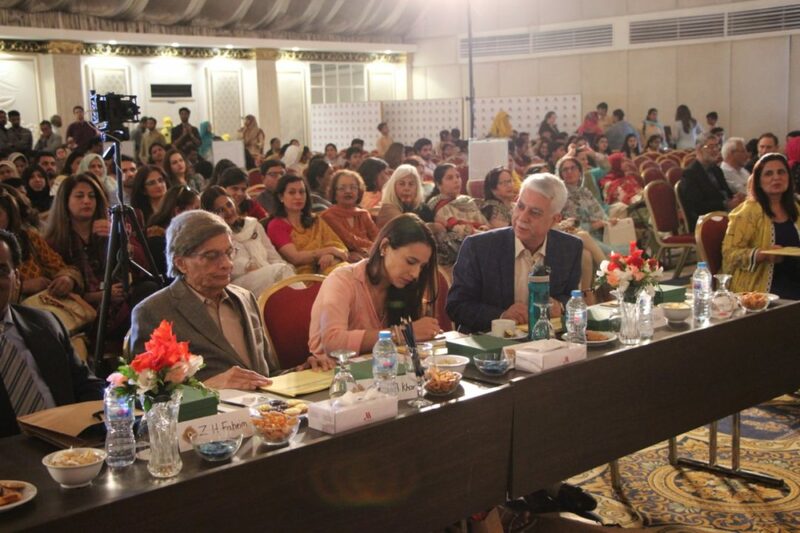 In the new season of Obhartay Sitaray, more than 75,000 household from 138 school campuses in Karachi participated in the fundraising efforts while over 862 students (206 teams) competed in the school level singing rounds. For the Team’s Final, 134 singers and the Voices Final 150 singers from Primary, Secondary, Senior, & College levels participated in the competition. 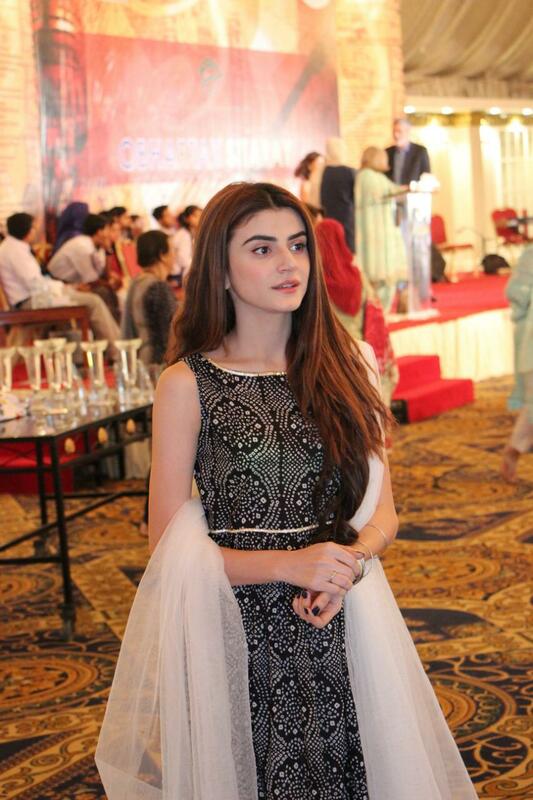 Obhartay Sitaray is an annual inter-school singing competition that provides students a platform to prove their singing talent and also raise funds for education of the less-privileged children of TCF. 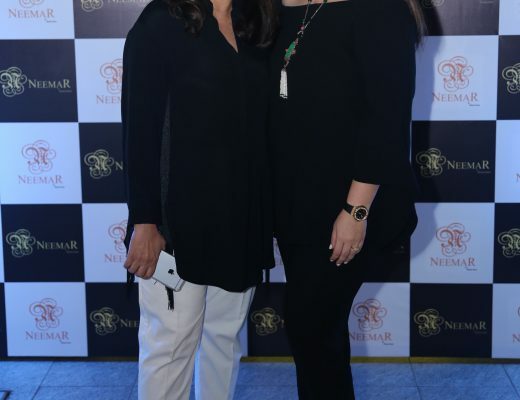 The notable as well as veteran musicians that graced the event on the judges panel included Tina Sani, Afshan Ahmed, Salman Alvi, Shahid Hamid, Z H Fahim, Sultan Arshad Khan and Zoe Viccaji. 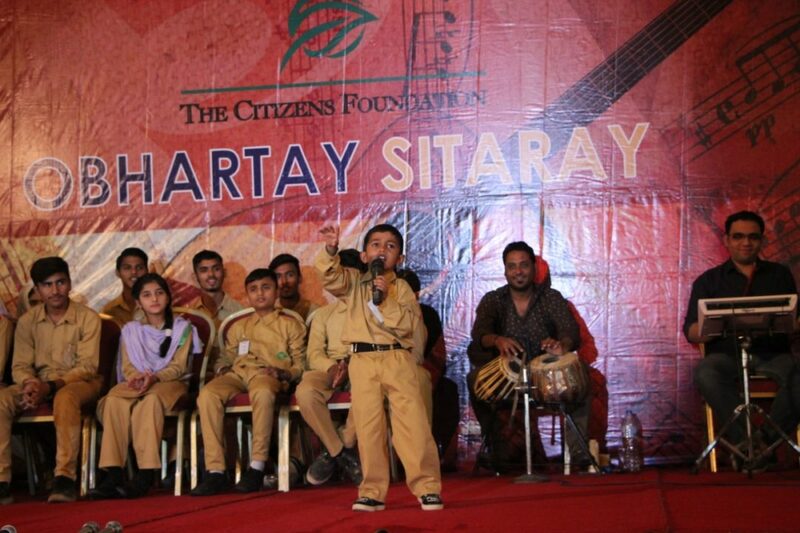 ‘Obhartay Sitaray’ which was initiated in 2012, has now become a signature event of TCF in the course of five years. 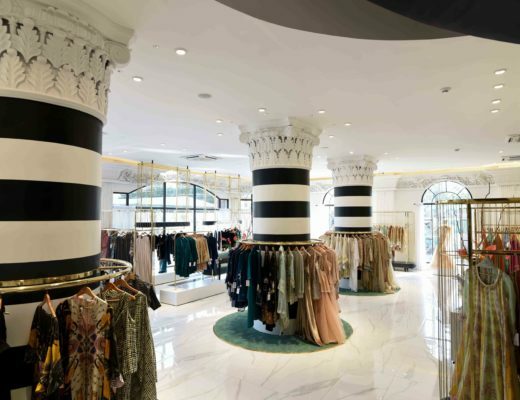 It is managed by a ladies volunteer group called Supporters of The Citizens Foundation (STCF). 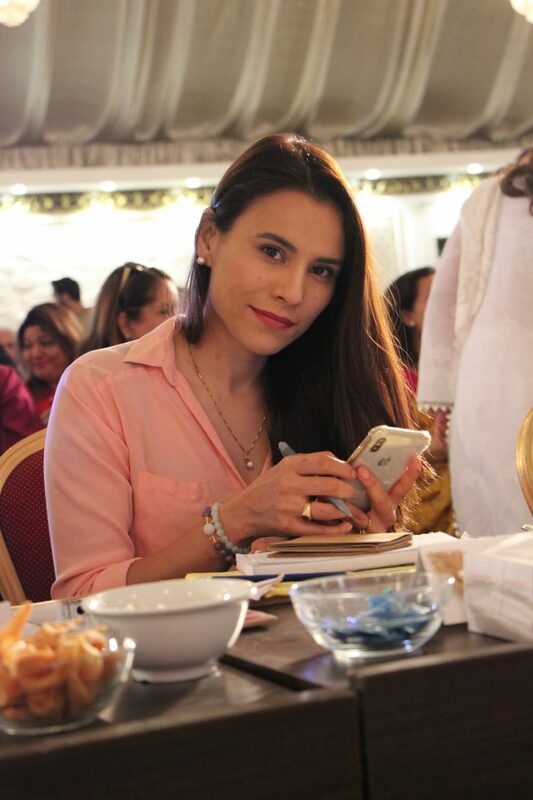 The group actively puts in time, effort, expertise and resources to arrange a vast array of fundraising events to support the cause of an educated and enlightened Pakistan. 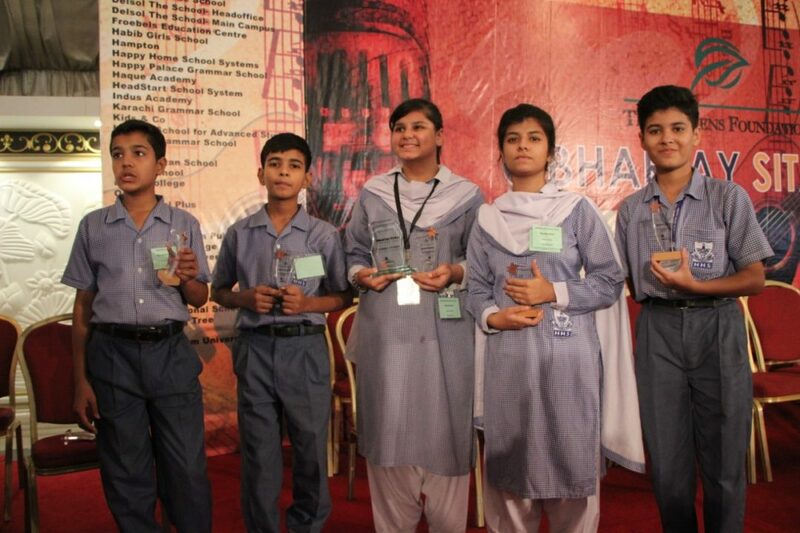 “We are grateful to all the schools that participated in Obhartay Sitaray competition this time around. The number of participating schools and students continues to grow in every competition and is a testament to the continuous success of the event. A big thank you to all the students for tirelessly raising funds for the TCF children just like them and giving them a chance to get education as well. 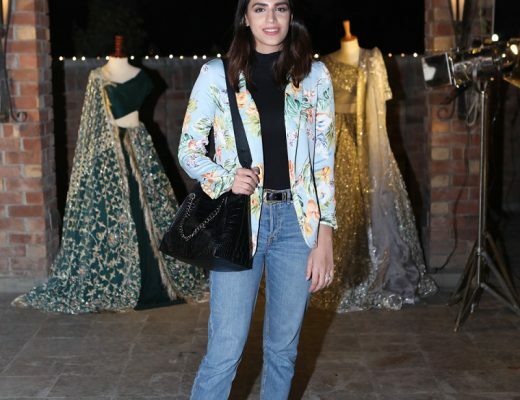 Obhartay Sitaray has earned the spotlight by becoming a hotbed for future young musicians – some students from last year even got selected for the Coke Studio,” said Mrs. Biba Baseer, Project Lead. The Citizens Foundation (TCF) is a professionally managed, non-profit organization set up in 1995 by a group of citizens who wanted to bring about positive social change through education. 23 years later, TCF is now one of Pakistan’s leading organizations in the field of education for the less privileged. The TCF model focuses on providing quality education through 1,482 purpose-built school units located in the heart of Pakistan’s urban slums and rural communities, educating more than 220,000 children. The organization ensures that girls represent nearly 50% of overall student enrollment.